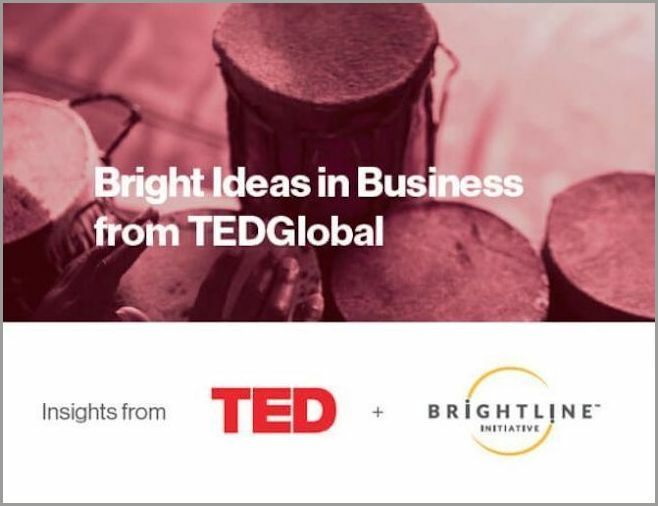 TED and the Brightline™ Initiative, a coalition led by the Project Management Institute together with leading global organizations dedicated to helping executives bridge the expensive and unproductive gap between strategy design and delivery, are partnering to bring great ideas and business strategies to life. The year-long partnership will include activations at TED's flagship conferences, custom-made content as well as digital media and the hosting of two TEDNYC events. The powerful experience of a TED conference is one that infuses a period of time with unprecedented levels of ideas, invention, and inspiration. Co-written by TED + Brightline, we’ve captured a bit of that magic in a comprehensive free conference insights report. 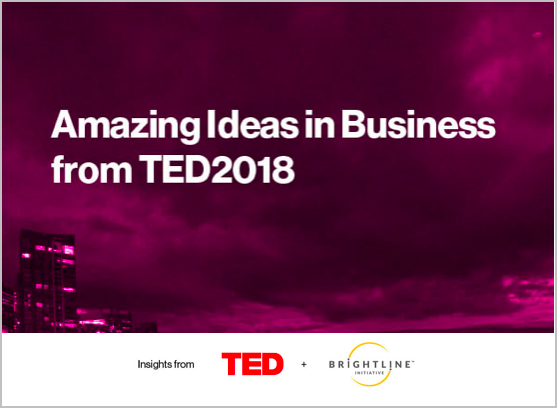 These reports will give you a sneak peek behind the scenes of a TED conference, with business insights provided by Brightline. TED2018 Report: Amazement can come in many forms. At TED2018, the program aimed to highlight amazement in all its forms. With more than 100 mainstage speakers, 26 TED Fellows presentations and scores of special guests hosting workshops and events, the conference featured important ideas that stirred all kinds of emotions. And, most of all, a sense of possibility. TEDWomen Report: Bridges. Sometimes we build them, sometimes we cross them, and sometimes we burn them. The goal of this conference, held in New Orleans on November 1-3, 2017, was to surface bold ideas from women and those who support them. Brightline was on hand at TEDWomen, taking notes on the most actionable and inspiring ideas on the mainstage. TEDGlobal Report: TEDGlobal 2017 was a celebration of those out there doing something — whether starting a company or initiative, challenging conventional wisdom or stirring up a new movement. The Brightline Initiative was on hand, taking notes on every moment. In this report, our key takeaways. It never hurts to have a basic set of guiding principles. TED partnered with Brightline Initiative to bring their 10 Guiding Principles to life. How do we find answers to the big, bold questions that arise when putting together a strategy? 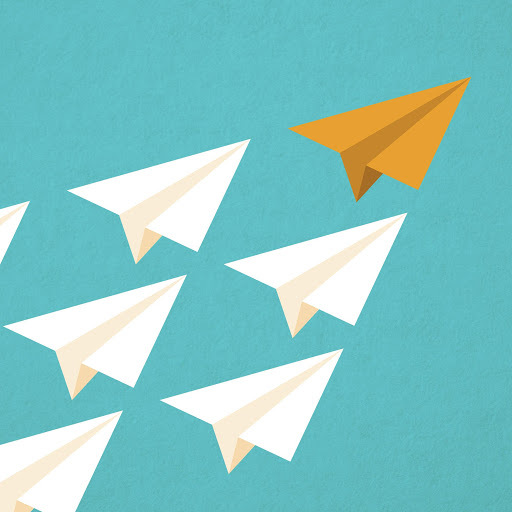 In our search to find new and innovative solutions, Brightline and TED explore the topic of strategy design and implementation through a variety of formats in these short custom content pieces. 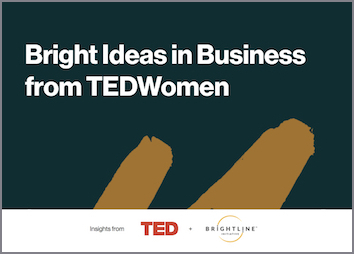 Because the Brightline Initiative is dedicated to helping leaders from all types of organizations turn their strategic plans into results, TED & Brightline sat down with four Thought Leaders at TEDWomen 2017 to uncover their perspectives on bringing a great business idea to life. How can governments and organizations successfully transform the world we live in? What should leaders do to cope with constant disruption? We used to think our society should function like a machine. But what happens when the problem is more complex than the metaphor we're using? And what happens when we change that metaphor? Research shows that nine out of 10 organizations fail to deliver all of their strategic goals. Why? It seems that we forget to ask the right questions when it comes to strategy implementation. Let’s face it: it’s hard to get stuff done. 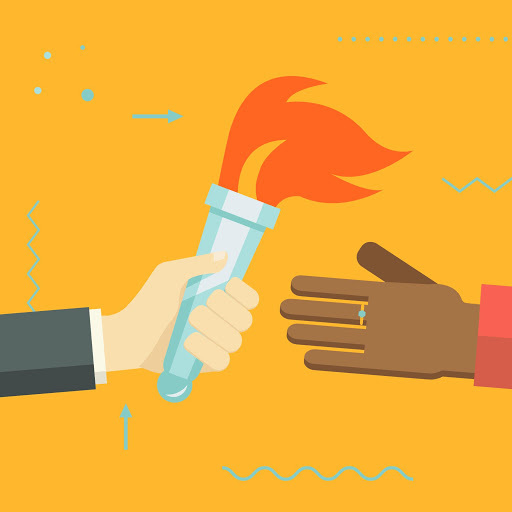 How can we, together, realize our most ambitious dreams? To celebrate the efforts of smart people who are changing the world while doing business as usual, TED has partnered with the Brightline Initiative, a non-commercial coalition of leading organizations dedicated to helping leaders turn ideas into reality. In a special session of talks hosted by TED content producer Cloe Shasha at TED HQ in New York City, five speakers (and one remarkable performer) — co-curated by technology curator Alex Moura and business curator Corey Hajim — explored how to innovate and thrive in a world that changes daily. This evening of talks was curated by TED with support from Brightline Initiative. In a media landscape where getting the user's attention is increasingly difficult, what's the secret to making content people love? Join BuzzFeed's Publisher Dao Nguyen for a glimpse at how her team creates their tempting quizzes, lists and videos -- and learn more about how they've developed a system to understand how people use content to connect and create culture. How did Amazon, Apple, Facebook and Google come to infiltrate our lives so completely? Find out what's behind their dominance and motivation -- and what happens when a society prizes shareholder value over everything else. Followed by a Q&A with TED Curator Chris Anderson. In 1988, Matt Goldman co-founded Blue Man Group, an off-Broadway production that works on the premise that certain conditions can create "aha moments". Now Goldman is working to apply the lessons learned from Blue Man Group to education. "We need to cultivate safe and conducive conditions for new and innovative ideas to evolve and thrive" Goldman says. Instead of thinking about capitalism as a firm, unchanging ideology, Bhu Srinivasan suggests we should think of it as an operating system -- one that needs upgrades to keep up with innovation. Learn more about the past and future of the free market (and a potential coming identity crisis for the United States' version of capitalism) with this quick, forward-thinking talk. Rei: "my mama" / "BLACK BANANA"
Born in Japan's Hyogo prefecture, Rei spent her childhood years in New York and now sings her unique, self-penned lyrics in both Japanese and English. She primarily uses an acoustic guitar in her performances, but simulates electric sounds with effects and audio feedback, allowing her to perform a wide range of music genres. In this talk, Rei brings her mix of indie rock and blues to the TED stage in a performance of two songs, "my mama" and "BLACK BANANA." It never hurts to have a basic set of guiding principles. Let these insightful talks help shape, redefine and build out your own leadership goals.